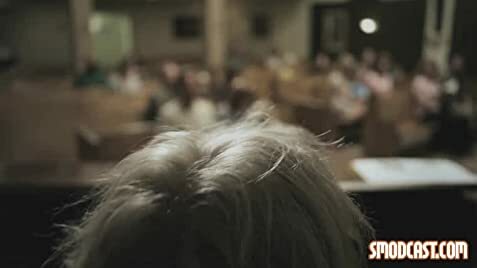 Q: Is this movie connected to other Kevin Smith movies? Q: What type of horror is this? 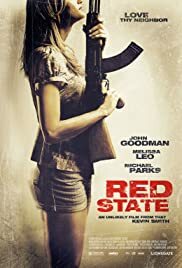 Q: What was the original ending of Red State? OK. So after reading the other reviews and deciding to watch this based on the positive reports, I feel compelled to offer a more realistic review. First of all, this is not the masterpiece it's made out to be. A lot of Kevin Smith fanboys seem reluctant to give him a bad review. So here we go, it's a bit of a mess really. It seems to be getting a lot of praise for switching genres but honestly, it just comes across as confused. Yes, the performances are pretty good and some of the camera work is exceptional (the escape/chase scene is noteworthy) but overall it's almost like three films in one. This might sound like a good thing but not the way it's presented here. And as for everybody trying to get clever over the title, the meaning is pretty clear to me. It refers to both the political and the government angle that the authorities can lock any suspected terrorist up for an indefinite time. A la communist/red states. Overall, some good performances, memorable dialogue and decent cinematography fail to save this confused mess. 206 of 369 people found this review helpful. Was this review helpful to you?